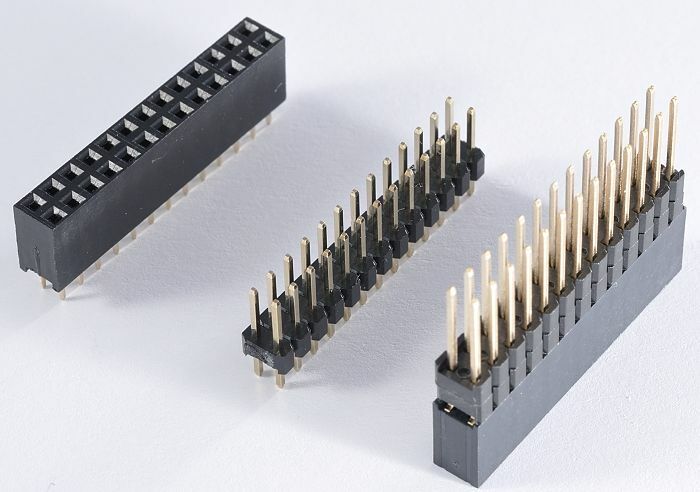 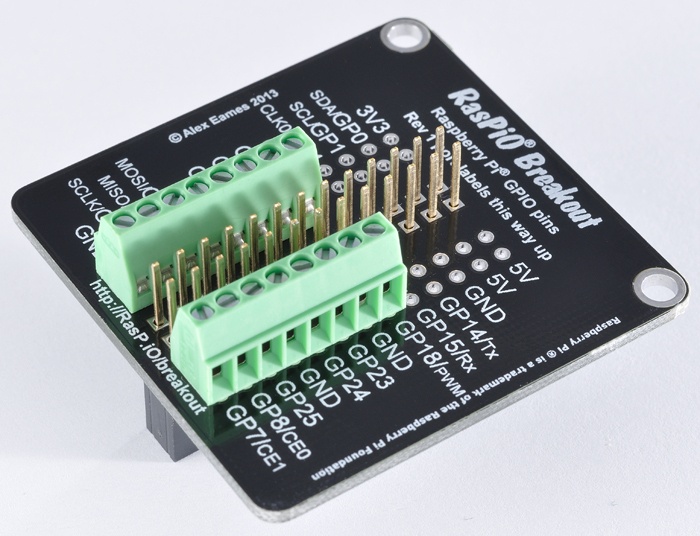 RasPiO® Breakout in three central header configurations. Click to enlarge. 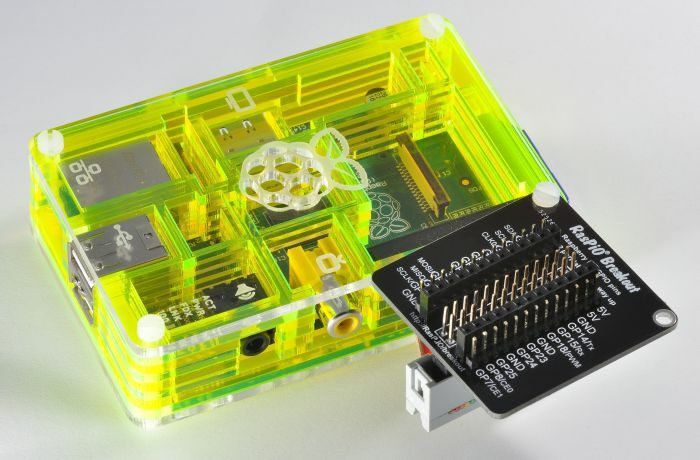 RasPiO® Breakout attached to Toxic Pibow using Pibow screw. 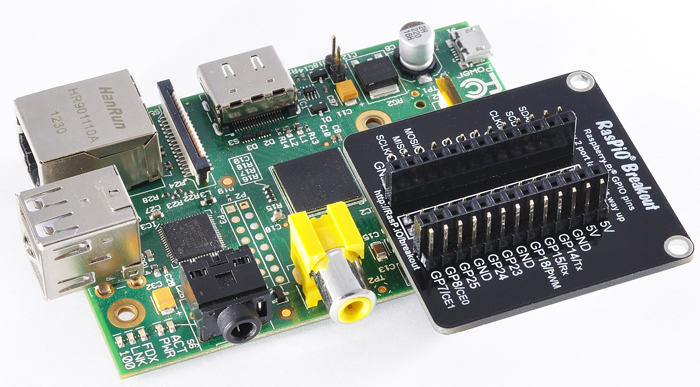 You can buy one (or more) right here for as little as £6 delivered anywhere in the world. 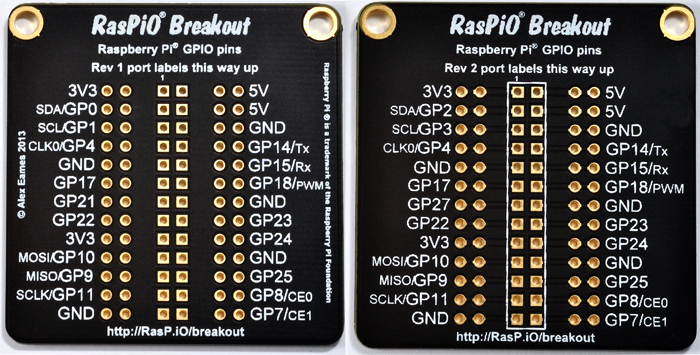 RasPiO® Breakout is also available from CPC. 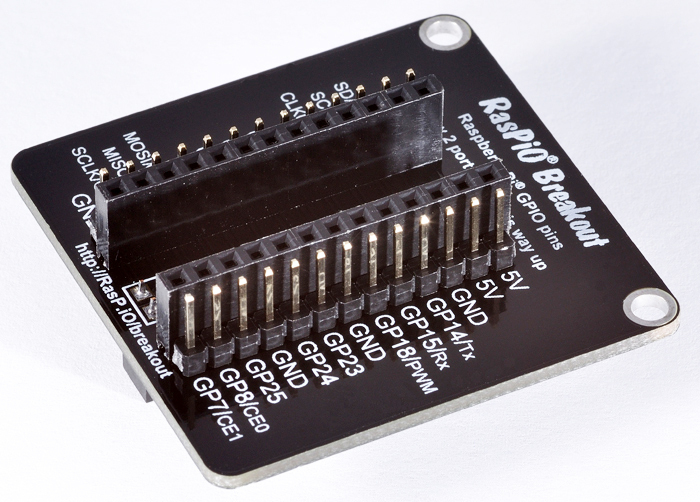 You can use the RasPiO® Breakout bare board as a port identification aid, but if you want to do that, you’ll probably be better off with the the RasPiO® Port Labels Board, which is designed with that use in mind. 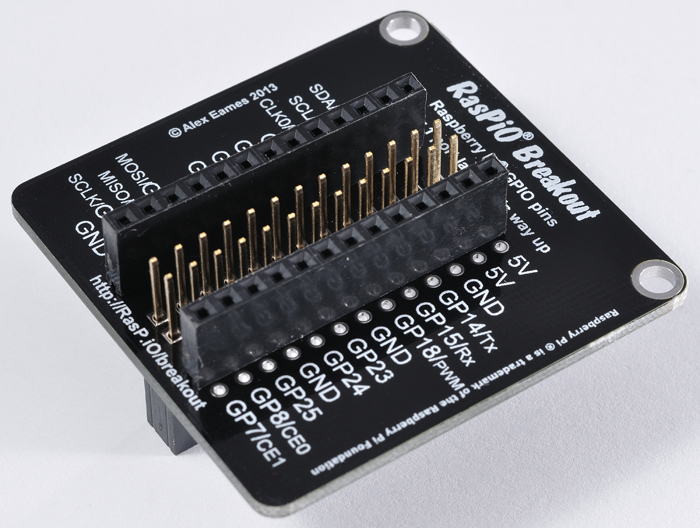 Download the RasPiO® Breakout assembly instruction leaflet (printable PDF).